From commercial distribution centres, to factory units and shops, to residential homes; Blacktown Security can provide your electronic security needs, with a friendly personalised service. Blacktown Security will conduct a site risk assessment prior to installation, which involves identifying all areas which need to be covered, and providing you with the tools to make an informed decision on the system which best suits your needs. 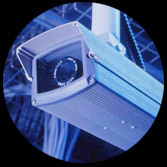 Blacktown Security uses state of the art systems using equipment from leading security manufacturers. Our security technicians and service technicians are fully licensed. Blacktown Security can also cater for emergency response and repair to your system. Installations can be done day or night to fit around your needs. Blacktown Security offers alarm monitoring services, to provide you 24 hour a day peace of mind, ensuring your business is protected. 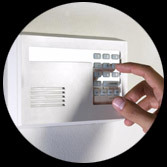 Alarm Monitoring is a cost effective way of ensuring your business or home is secure and protected. According to the latest figures over 600 reported Break-ins occurred in the Blacktown Area to Businesses and over 2500 residential break-ins occurred within 12 months*. Backed by our dedicated mobile patrol fleet, we are able to offer a quick response to your site. * from Bureau of Crime Statistics and Research.